Information about each award can be seen below. Closing date for submissions is Friday, October 5. 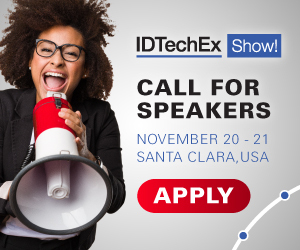 Two more awards "Best Poster" and "Best in Show" will be judged at the IDTechEx Show! "We are extremely pleased and honored to have received the award for the Best New Material or Component Development... solid-state and customized batteries are going to help revolutionize the next stage for wearables and IoT Technology." "Winning the Technical Development Materials Award for our supercooled metal particle technology was the highpoint of IDTechEx's exceptional conference which was packed full and a great opportunity for us to get introduced to the printed electronics community!" "We are happy to receive these awards from such an important firm like IDTechEx. This award is completely dedicated to our team, our passion and the important investment that has led us to achieve our goals in these years."